Whilst more traditional in appearance this interesting ceiling mounted round lantern offers decorative interest and functional appeal. 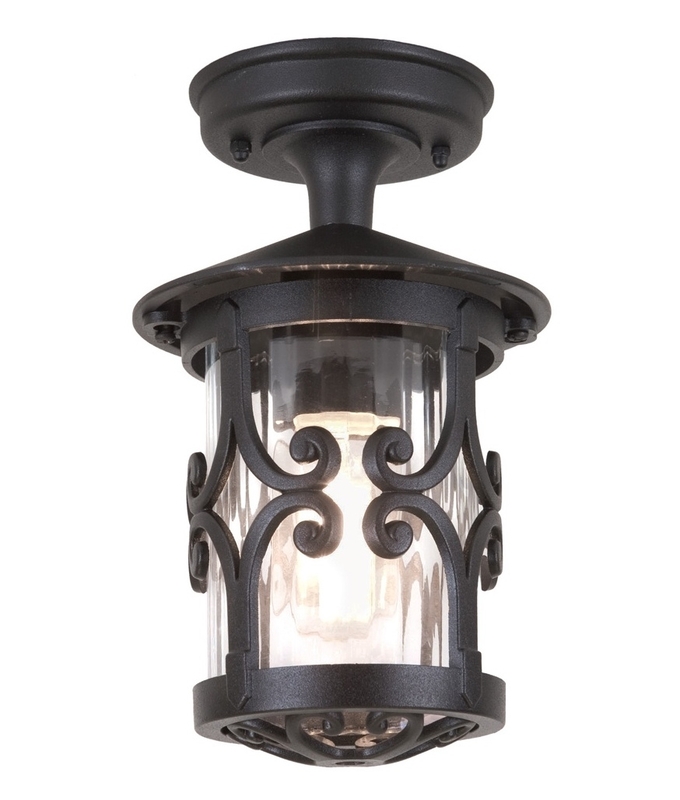 Perfect for lighting covered porches or entrance ways and looks great when combined with our E27 decorative lamps. Can be used in a covered porch, hallway or entrance area. Constructed from die-cast aluminium with a cylindrical glass insert, comes with a 5 year anti-corrosion guarantee. Can this light be fitted be with a motion sensor? This lantern can be used along side an independent motion sensor. A good solution for a suspended ceiling lantern, which ensures the best position can be achieved for optimum detection. Just a note worth mentioning: lamp life can be compromised if using compact fluorescent lamps (energy saving), though there is no firm evidence it has been reported to us on several occasions. A `dusk til dawn` sensor would be more compatible in this scenario. What bulb does this take and max wattage please? The maximum wattage allowed is 100w. Any Edison screw lamp can be used but for your convenience we have listed the spare lamps.